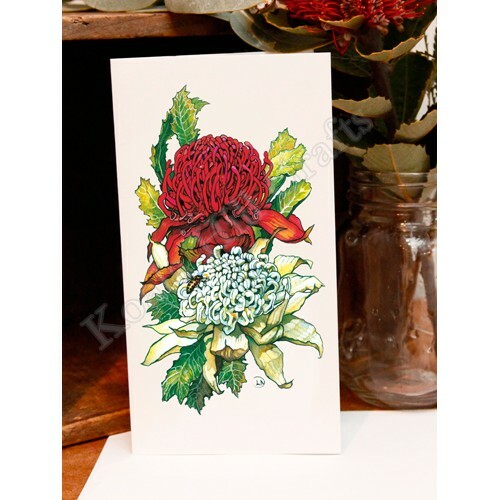 The Waratah is a great unique Australian gift for family and friend's overseas. 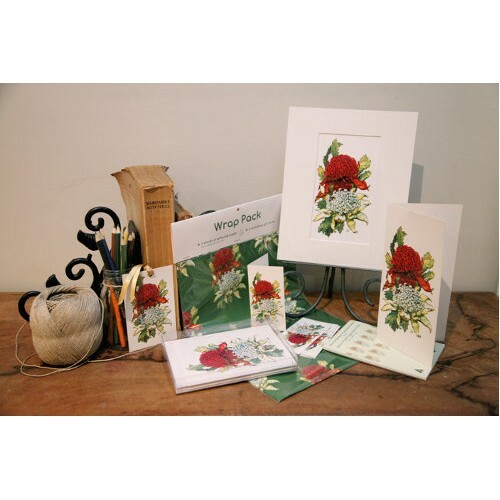 Also available in gifts cards, notecards, bookmarks,giftwrap and prints. The Gardens of Gondwana Series features Australian butterflies and native flowers.